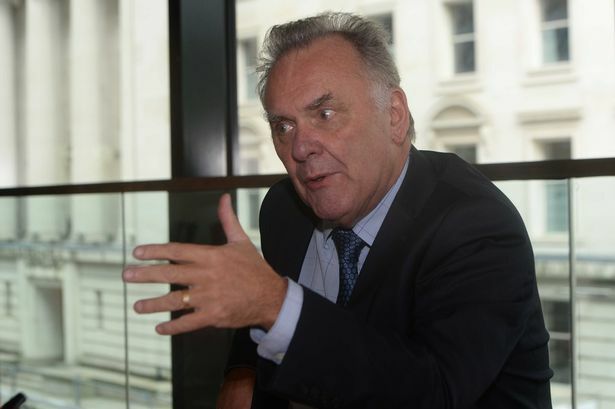 Birmingham City Council&apos;s Labour cabinet is embroiled in tense talks over the future of leader Sir Albert Bore. Rumours are circulating that his 16-year tenure as Birmingham&apos;s Labour group leader, including two lengthy spells as council leader, is coming to a close. The Labour leader has found himself coming under increasing pressure to go following the shock resignations of two senior colleagues and likely criticism in an upcoming government-backed review of the council. His attempts to ride out the storm now appeared to be drawing to a close as news of the council crisis reached Labour leader Jeremy Corbyn. It is understood the situation with Birmingham City Council was high on the agenda at a Shadow Cabinet meeting of senior Labour MPs last night. Sir Albert, who today returns from a European Committee of the Regions meeting in Brussels, is rumoured to be facing a further set of resignations unless he steps down. Last night, it emerged a group of committee chairman were considering resigning. A senior Labour source said: "There is a lot of concern about the threat of government intervention and a lot of people believe Birmingham can&apos;t reach its true potential under Sir Albert. "Realistically, while the city has improved in many ways, it is still not punching its weight." Pressure has risen on Sir Albert since criticism of his leadership following the Kerslake review. But it has become far greater in the past week following the resignation of cabinet member James McKay and Labour group secretary Valerie Seabright. The Post revealed yesterday that several scrutiny chairs were considering their positions and, with meetings taking place today, it is thought a statement is imminent. Long-term leadership rival John Clancy has already launched his bid to replace Sir Albert but whether he will face competition from deputy leader Ian Ward or another member of Bore&apos;s cabinet is not yet clear.